Location of the assignment when stopped at Signal 242D and related track profile. The recommendation calls for Transport Canada to update the Railway Employee Qualification Standards Regulations to address what TSB calls existing gaps related to training, qualification and re-qualification standards, and regulatory oversight for employees in safety-critical positions. The incident that led to the recommendation occurred in June 2016 at MacMillan Yard located in Vaughan, Ontario. 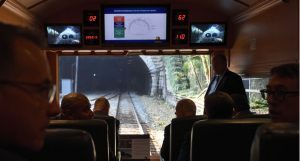 A two-member crew was performing switching operations using a remote control locomotive system on a train consisting of 74 cars and two locomotives. 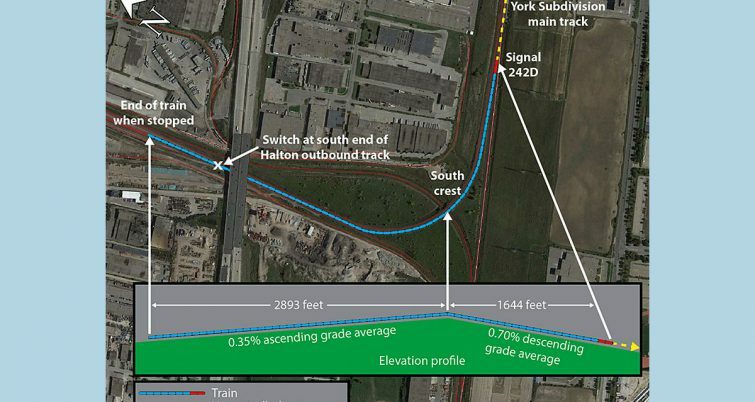 The crew received permission to move the cut of cars south along a slightly ascending grade toward the edge of MacMillan Yard and then downhill onto the main track of the York Subdivision. When the crew attempted to stop and reverse the cars back into the yard, the cars continued to move and rolled uncontrolled for about three miles, reaching nearly 30 mph before an ascending grade brought them to a stop. 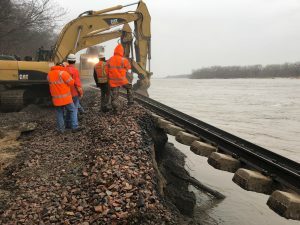 TSB credits the foreman’s quick emergency call to the rail traffic controller asking for assistance to protect the uncontrolled movement for minimizing the risk of collision and of a more serious outcome. TSB noted that the number of occurrences involving uncontrolled movements in Canada has increased by about 10 percent in the past five years, compared to the 10-year average. 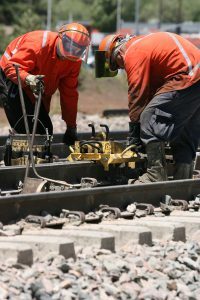 Following the incident, Canadian National conducted a risk assessment that included a review of topography and air brake use in all its switching yards in Canada. 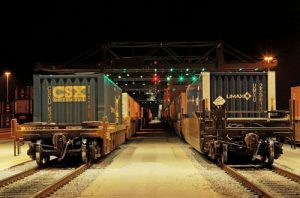 Based on the review, CN implemented new minimum braking requirements for each yard including how many cars require charged air brakes prior to accessing main track.